HBO’s Game of Thrones is pretty popular, so popular in fact that here at CinemaBlend we didn’t bat an eyelash when we heard the HBO drama had signed on with IMAX for several special screenings of Game of Thrones episodes. However, this week Imax broke some good news and some bad news. The bad news? They’ve postponed those Game of Thrones screenings. The good news? Because the screenings have been pushed back, more theaters will actually be hosting the special event. We’ve got the details on the changes. Initially, the screenings were expected to run from January 23 through January 29. That’s not in the cards any longer. This morning, IMAX announced that the screenings will now start on Thursday, January 29 at 10 p.m. and will run through February 5. The theaters involved will now total over 200, so if the screenings weren’t in your area before, they may be, now. IMAX has put together a handy blog listing all of the theaters with showtimes in the United States. Dates in Canada are still being confirmed, but apparently they will be happening. If you haven’t heard about the IMAX screening thus far, they will give fans a chance to see the small screen endeavor on a much larger screen. Two episodes from Game of Thrones Season 4 have been digitally remastered to fit IMAX standards and will be shown. Those episodes are Episode 9 “The Watchers on the Wall” and Episode 10 “The Children.” After the Season 4 screenings, HBO and IMAX will air a “sneak peek” of Season 5 that will include footage from the new season. 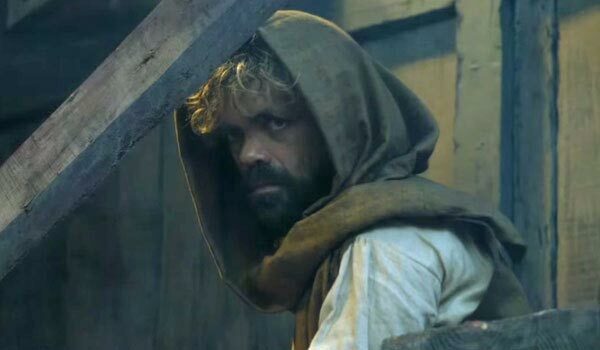 This is a bigger deal than you might guess, considering so far we’ve only seen a few shots from the new season, including one of Tyrion with a beard. Additionally, fans who attend the IMAX debut of the episodes and footage on opening night will receive a Game of Thrones poster created by Robert Ball, which sweetens the pot a little more (at least for those who can stay up that late for a screening on Thursday nights). Many fans of Game of Thrones have already caught “The Watchers on the Wall” and “The Children” more than once, but seeing it on IMAX should be a different experience—one that comes with a heftier price tag attached. If you’d like to nab a ticket to any of the screenings, they will go on sale over at the IMAX site beginning on Friday, January 16. Game of Thrones Season 5 is expected to premiere on HBO on Sunday, April 12.